Founded in 2011 by Jordan and Nicki Rubin, Beyond Organic Foundation is a biblically based charity that finds its roots in James 1:27, which teaches that pure and genuine religion in the sight of God the Father means caring for orphans and widows in their distress and refusing to let the world corrupt you. Our mission is to provide physical, emotional and spiritual aid to people in need. We carry out this mission through partnership with churches, ministries and missionaries to feed, clothe, shelter and care for people around the world. 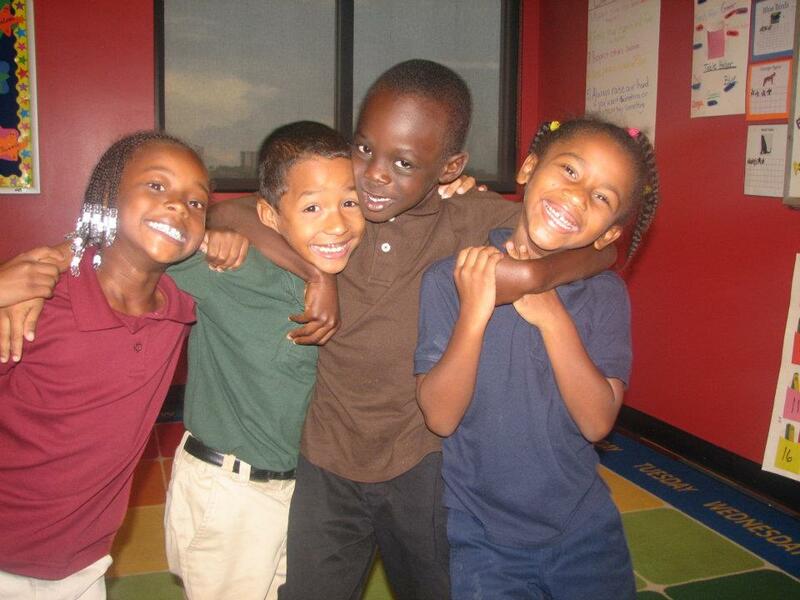 Our foundation raises funds through its many generous corporate and individual donors. 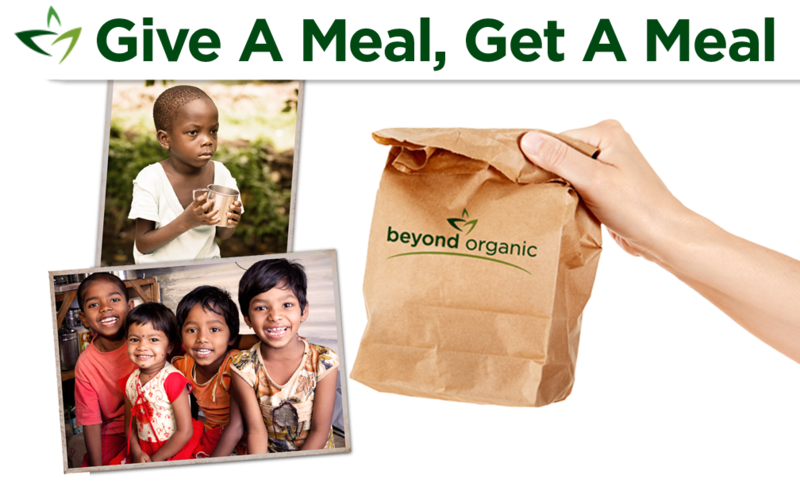 We currently provide aid to several national and international ministries and are working in partnership with Beyond Organic LLC to launch a revolutionary new program called Give A Meal, Get A Meal. For questions about our foundation, contact customer service at 800-560-3961. *Beyond Organic Foundation is a 501c3 public charity. Donations to the foundation are tax deductible. One of our key initiatives in 2012 is a brand new effort to help Urban Youth Impact (UYI) launch their Food in a Backpack Program, which sends some of the most needy inner-city kids that UYI serves home with healthy, organic fruits, vegetables, canned and dry goods for the weekend. For many of these inner-city children, nutritious meals are hard to come by. Often times their most nutritious meals throughout the week come from their school lunch program, or perhaps a healthy snack that UYI is able to offer them as part of the after school program. On the weekends, these kids are frequently left alone, or their families simply have little to no money to buy nutritious foods. In response to this need, we are partnering with UYI to help them continue giving to these kids, even when they are away from the after-school program on weekends. The goal is to send as many of these needy kids home with healthy foods that will help nourish them throughout the weekend. The Food in a Backpack Program will provide UYI with a very tangible and impactful new way to show God’s love to the kids and families they serve. In addition to meeting an immediate need, our desire is that this initiative would begin to set the stage for teaching the UYI children the importance of making healthy food choices in life, particularly in the midst of a community prone to obesity, diabetes and heart disease. Give A Meal, Get A Meal (GAM, GAM) is a revolutionary partnership that allows you to give to a select group of charitable organizations to bring food, clothing and urgently needed help to people in need. The best part is that with Give a Meal, Get a Meal, you get to give for free. When you order from Beyond Organic, you will have the opportunity to donate $10 (or more) with your order to give to one of our partnering organizations. In return, Beyond Organic will add $10 worth of free product credits to your account, which can be used the very next calendar month. It’s a win-win-win program that is creating excitement among our growing family of Mission Marketers and customers. *You may donate as much or as often as you desire. However, we can only offer a credit of $10 a month per account.